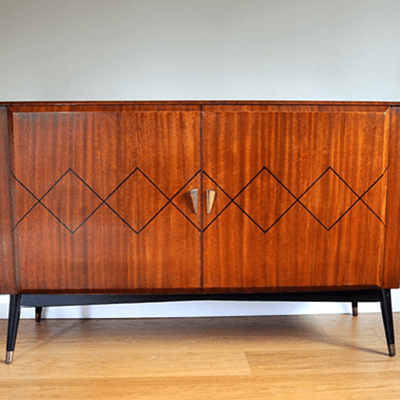 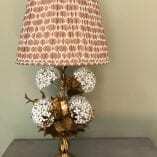 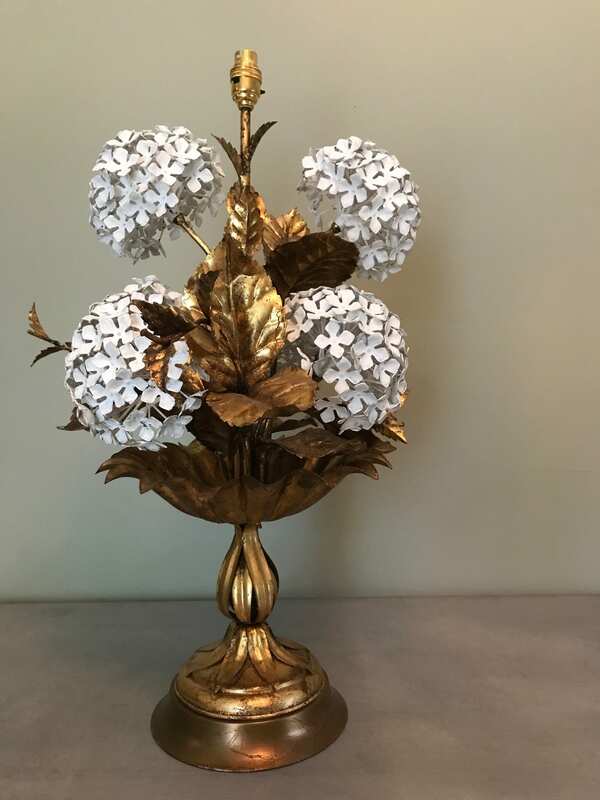 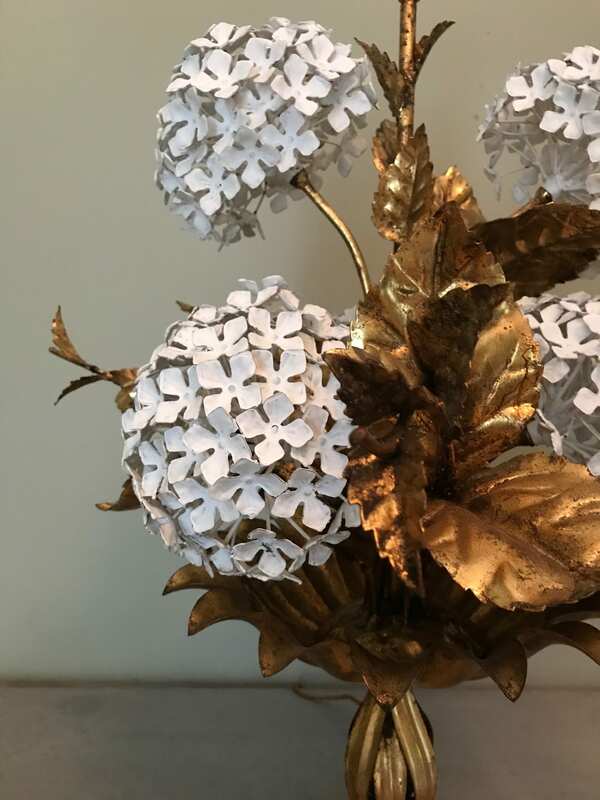 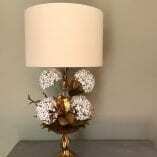 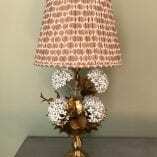 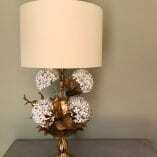 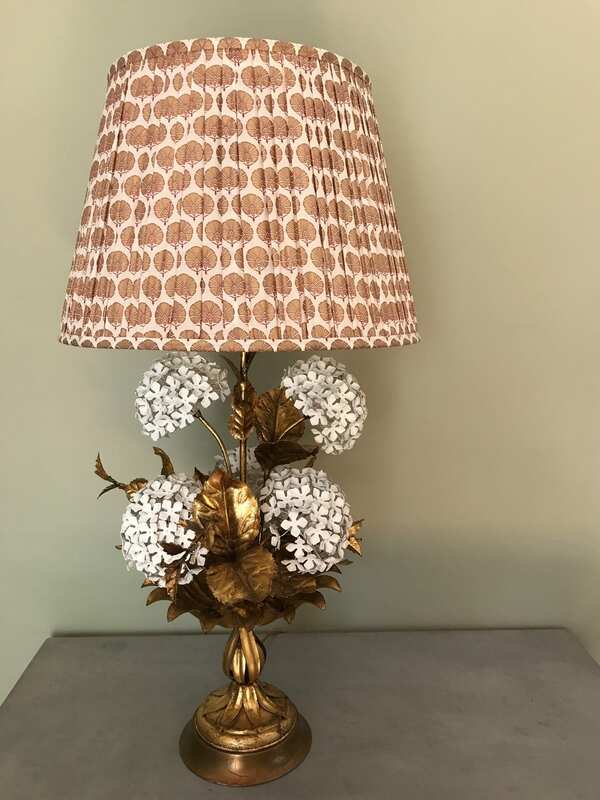 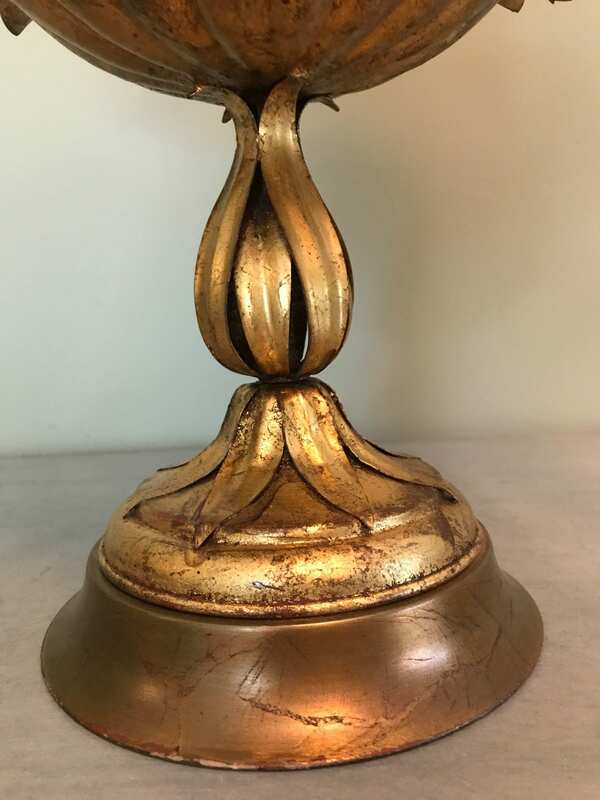 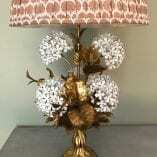 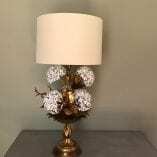 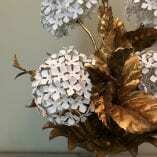 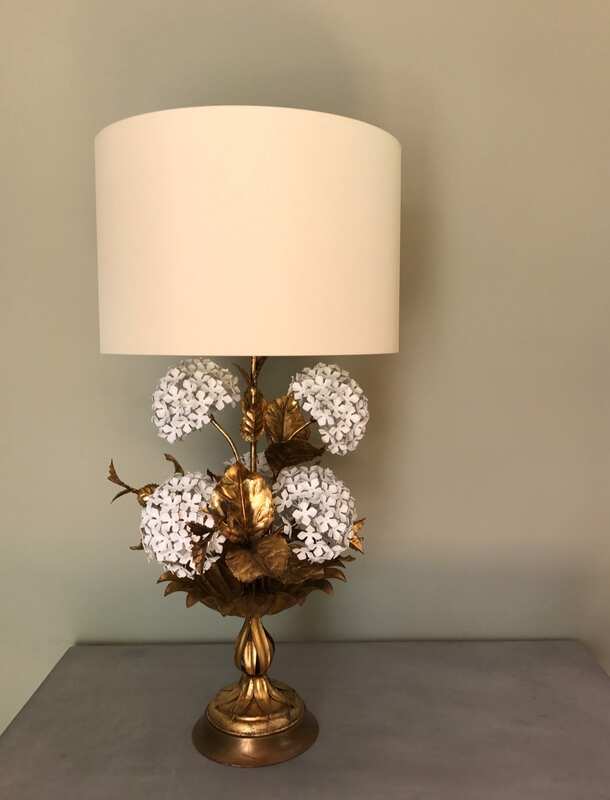 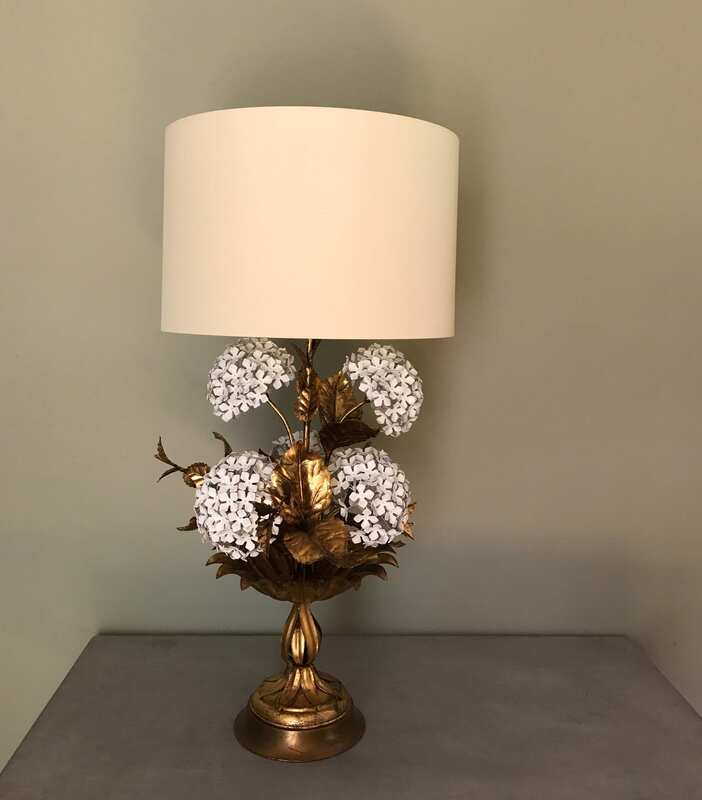 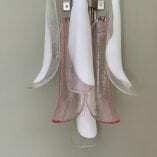 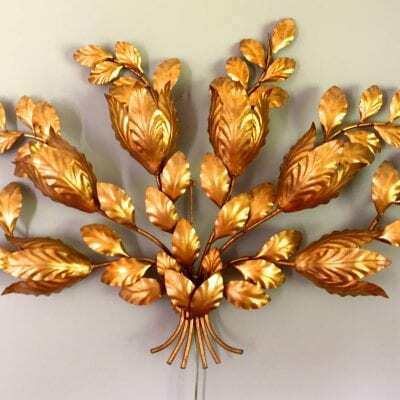 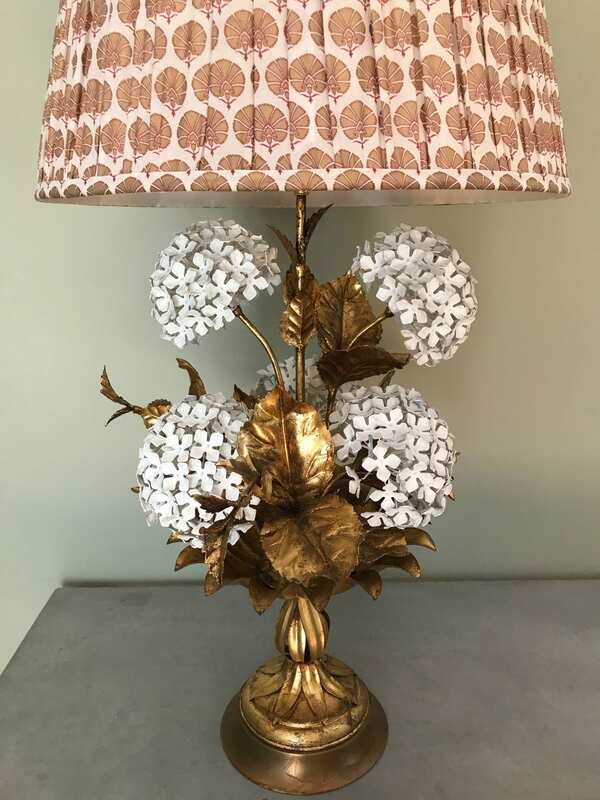 A very beautiful and rare Mid Century Hollywood Regency ‘Wiltshire House Beverly Hills’ gold tole hydrangea lamp with 5 stunning white hydrangea flower heads and gold leaves. 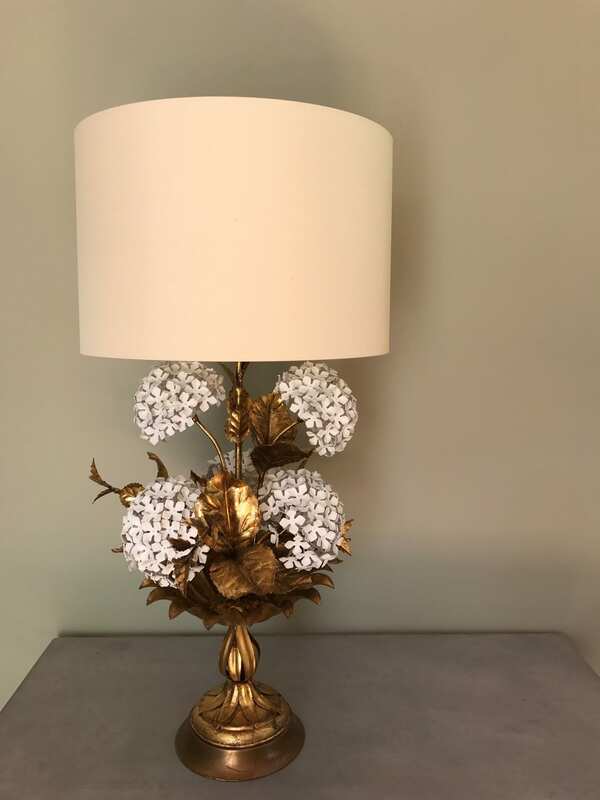 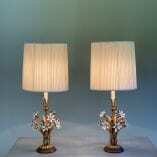 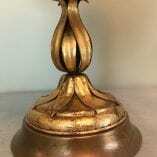 The lamp sits on a gold leafed stand. 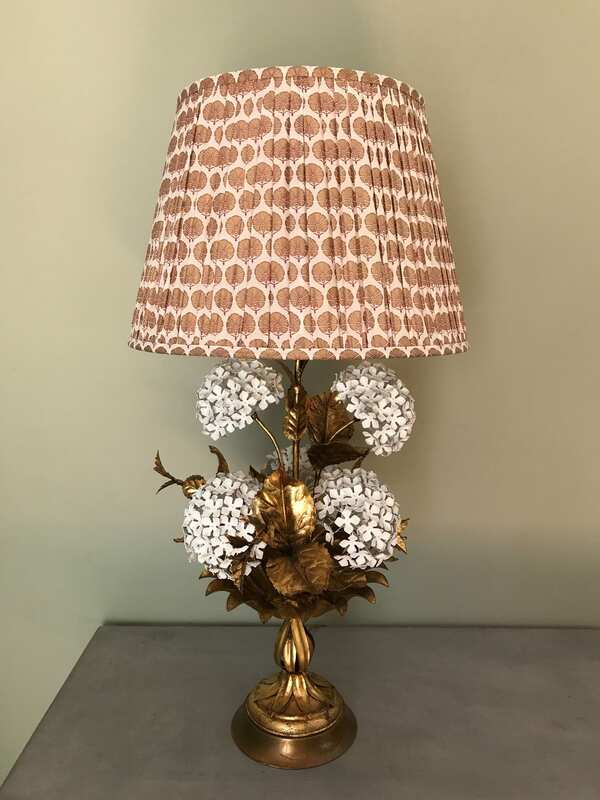 Seen here with an ivory silk drum shade and a stunning gold patterned Indian cotton block.